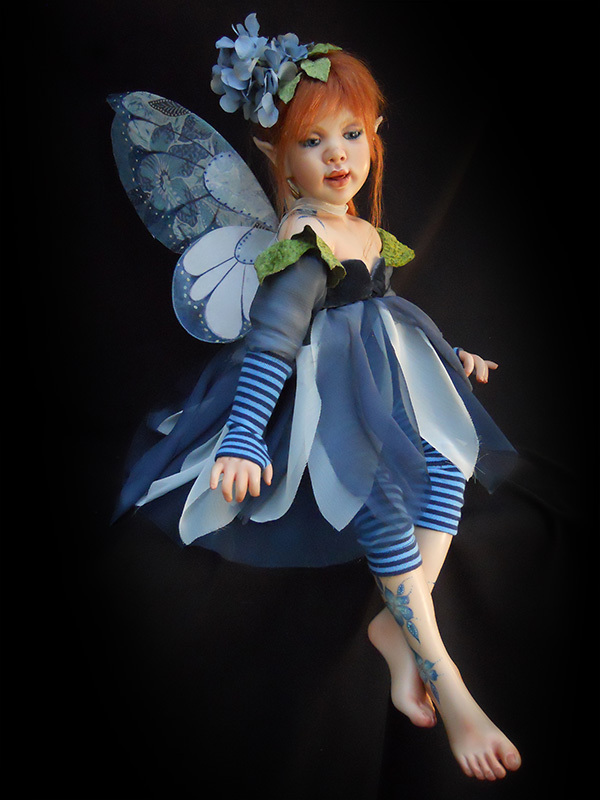 Blue Funky Fairy is a naughty red head with a definite attitude. Her exquisite wings are inspired by the butterfly. 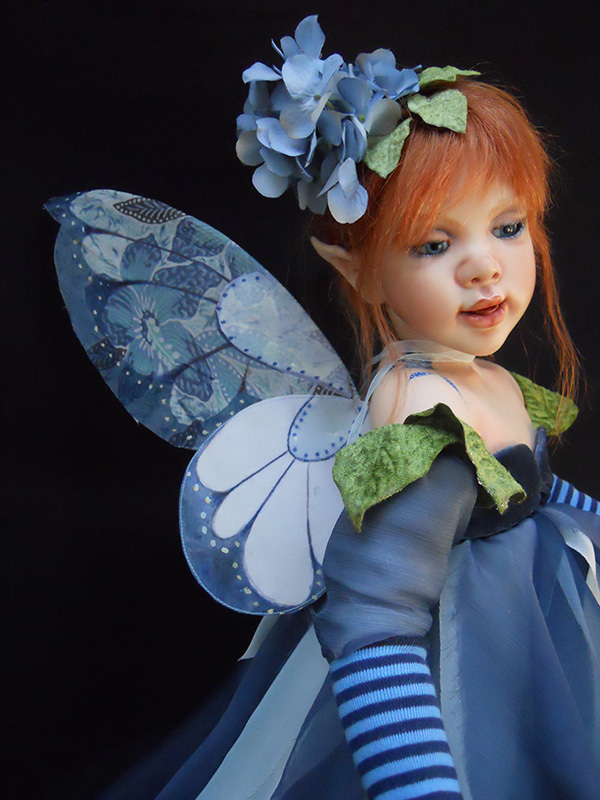 She wears a pedaled dress in shades of blue with matching striped leggings and gauntlets. Her legs and shoulder plate are painted with delicate funky blue flowers.